Choosing the right nursery colour for your baby is often a long and frustrating journey. 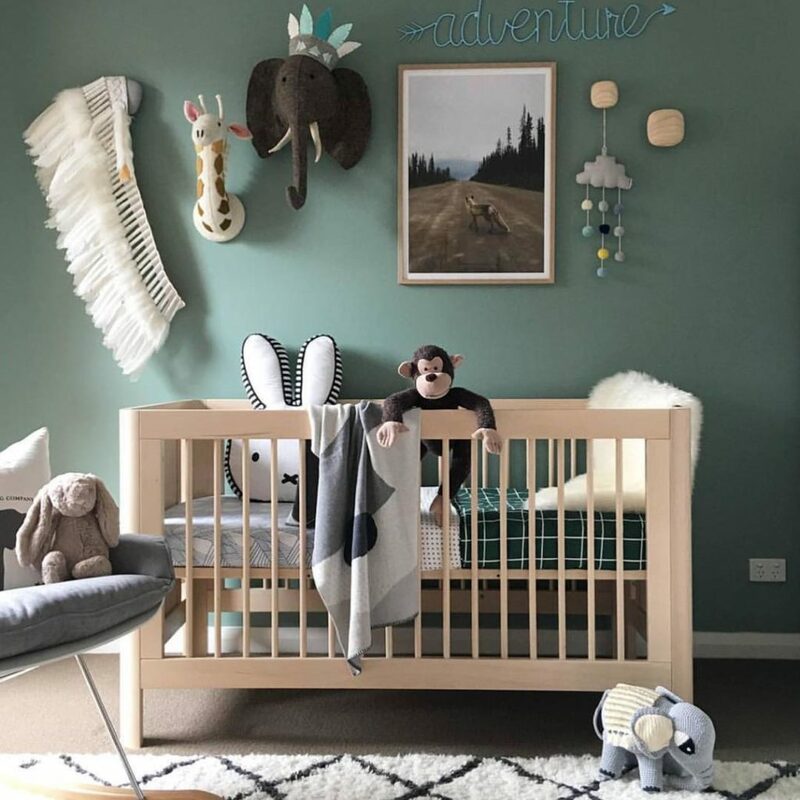 In the past, new parents normally ended up opting for pastel blues or pinks; nowadays parents are much more open to trying untraditional colours in their little one’s nursery; but do we know what sort of psychological effect these colours can have on a baby? Every colour has a different effect on our mind and body and it’s important to take these into consideration, especially when designing your new baby’s nursery. 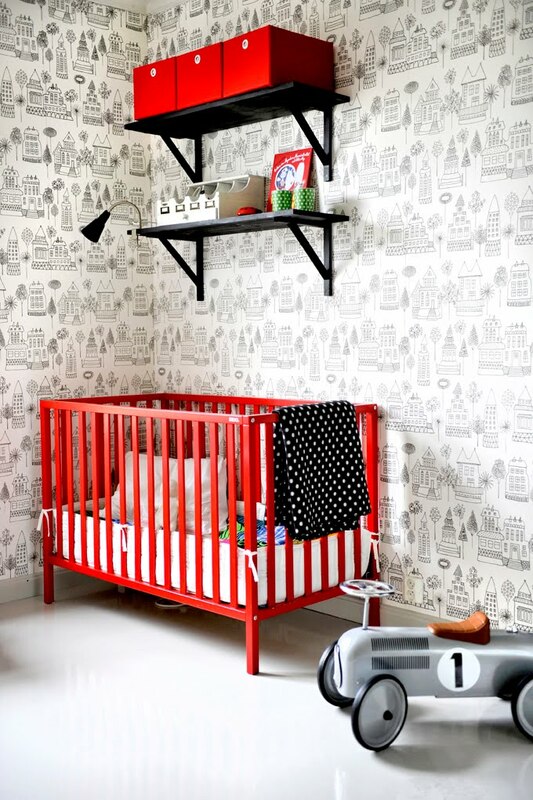 Red is the colour of excitement and is sure to bring lots of energy into your little one’s room. Red has been known to increase a person’s heart rate and inability to focus or concentrate and could cause your little one to be restless or struggle to relax if used in large doses. 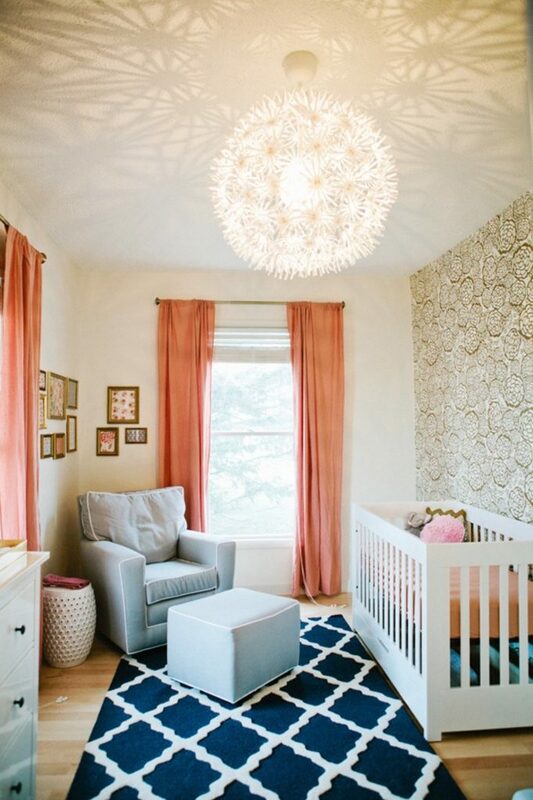 Red is best suited as an accent colour paired with cooler tones in a nursery. Similar to red in its psychological effect, orange is also best used as an accent colour in combination with cool tones such as blue or grey. Orange is also best used in larger rooms that have a lot of natural light streaming in as orange can easily tend to make a room feel crowded or busy. Yellow is a happy and cheerful colour that is perfect for a nursery. 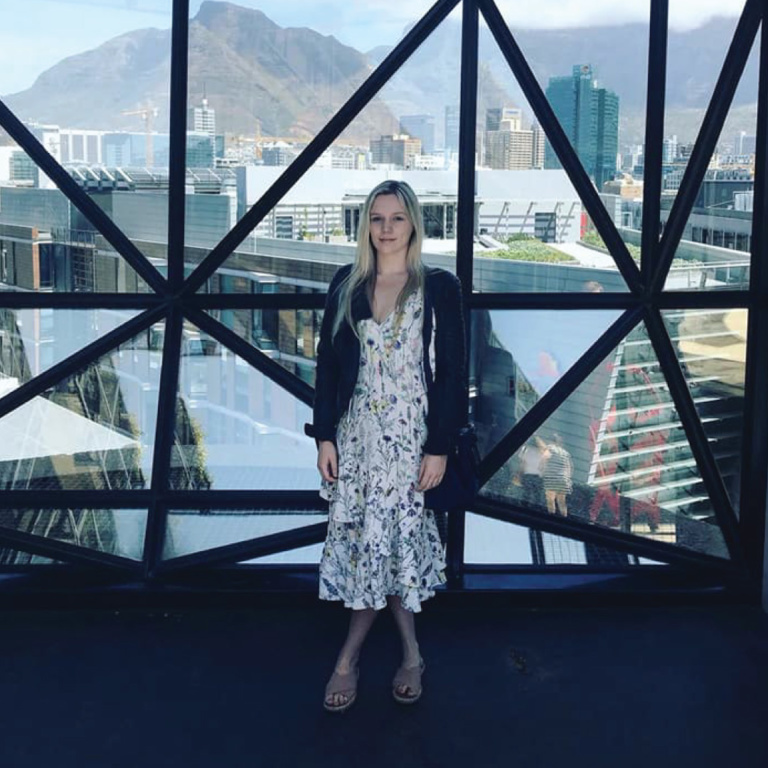 However, yellow is another colour that needs to be kept as an accent and paired with cooler tones as it has the ability to heighten intellectual activity and muscle motion. Pale yellow is a better option as too much of a bright, neon yellow in a nursery might cause your baby to cry more frequently. 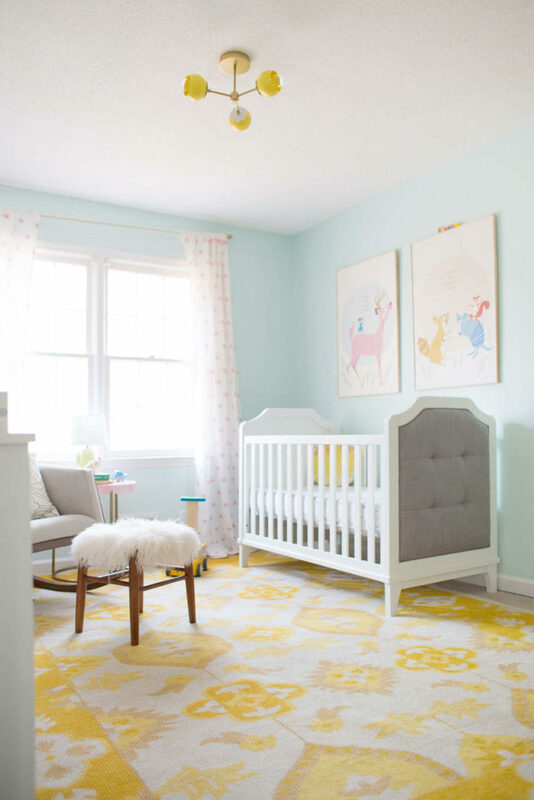 A pale yellow rug is perfect as a nursery colour accent and will bring a touch of sunshine into your baby’s room. Green symbolizes nature and the growth of young plants and is a lovely, calming colour for a nursery. Associated with health and healing, green has a soothing effect on the body and mind, reducing tension and promoting relaxation. Pair a soft green accent wall with a fun 100% cotton, machine-washable tropical green rug to create the perfect nursery. Purple, having always been associated with royalty, is known to encourage confidence and ambition in young children. Pastel purples, like lavenders and lilac, are very calming colours and are a popular bedroom colour choice. As purple is not often found in nature, it can have the feeling of being a very unnatural colour. 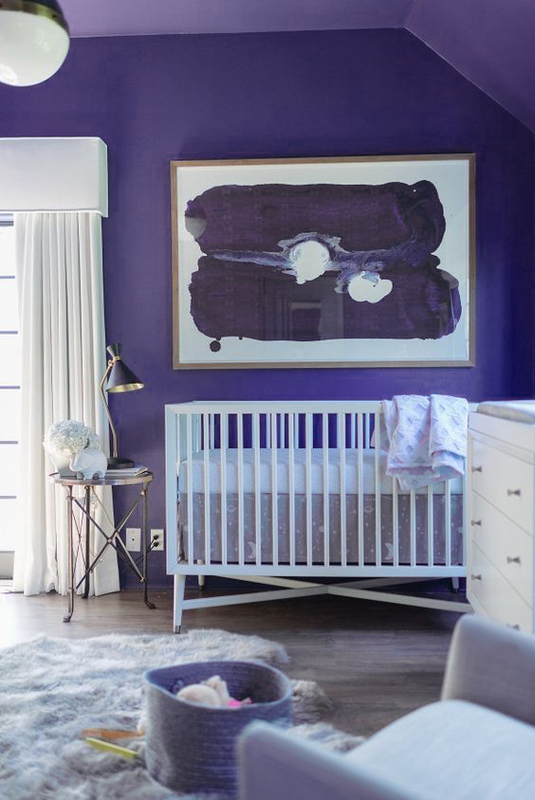 If your baby tends to be particularly sensitive, it’s probably best to keep purple to just an accent colour. While science can tell us so many different ways in which colour can influence our minds and bodies, always remember that every baby is different and have their own distinct personalities and that each colour will have its own unique effect on your little one. What colour did you choose for your baby’s nursery and why?